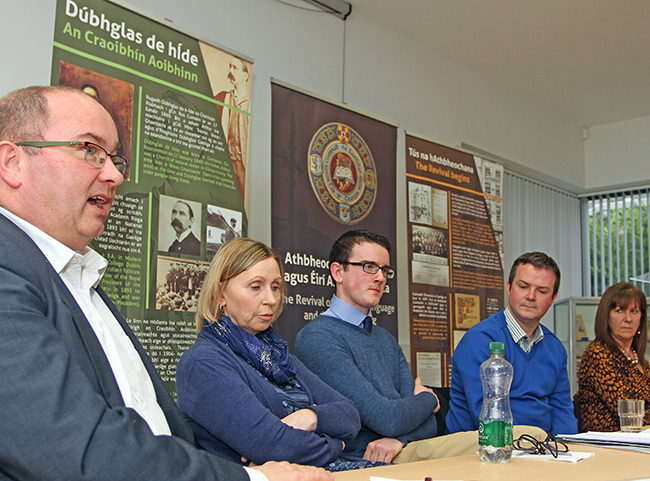 SINN FÉIN’S commitment to the revival of the Irish language was demonstrated at the party’s Slogadh 2015, held in Gaeláras Mhic Ardghail, Newry, on Saturday 21 November. Dozens of activists from across the country travelled to the County Down venue for a day of debate, ranganna and discussions. 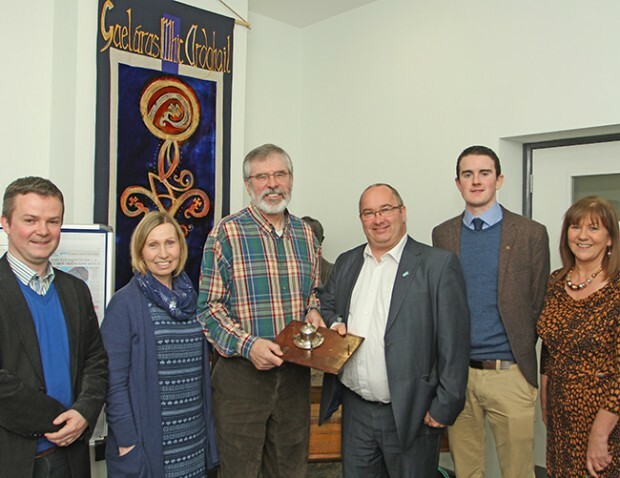 The main address, delivered by Sinn Féin President Gerry Adams TD, challenged party activists and language activists “to move beyond talk” to ensure the “Gaelicisation” of the party and to work with all language enthusiasts for the promotion of Irish. 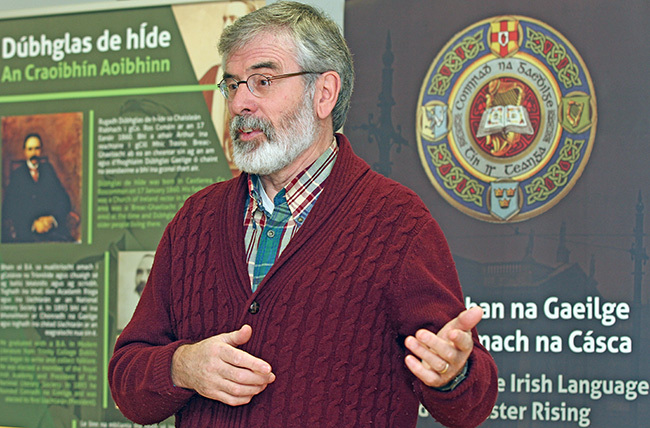 “The growth and development of the language is a vital conversation but it must go beyond talk to activism,” urged Adams before reminding his audience of the enthusiasm of the thousands of Gaeilgeoirí who came on to the streets of Belfast under the banner of ‘Fearg le Dearg’ to demand the implementation of Acht na Gaeilge in the North. 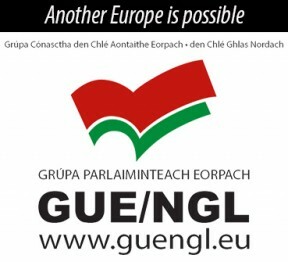 Among the speakers in the morning panel discussion was Linda Ervine, who has broken new ground with her Irish language project based in the unionist Lower Newtonards Road area. Despite the attempts by unionist politicians to denigrate the language, Linda’s efforts to hold classes and teach Irish in the East Belfast Mission is growing. 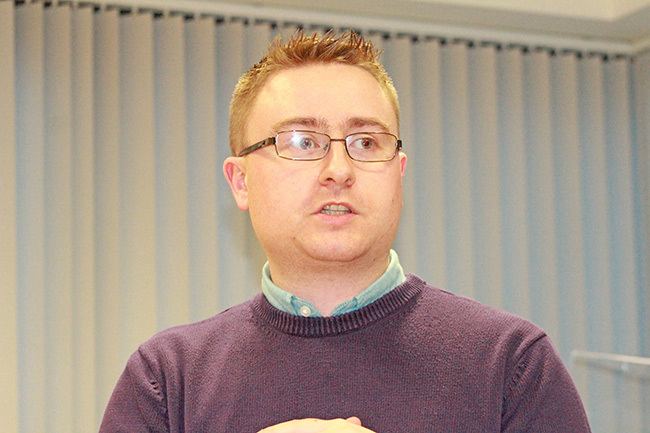 Lurgan man Johnny McGibbon, Sinn Féin’s Irish Language Development Officer, told An Phoblacht he was “more than delighted” with the turnout and that many who are not Sinn Féin activists took the time to attend the Slogadh.